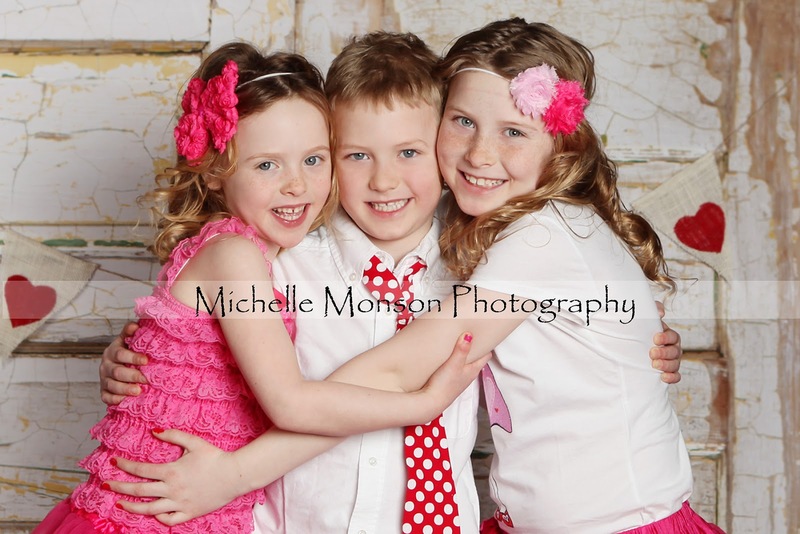 We had just finished their Valentine Day Mini Session last month so I thought it would be fitting to use my favorite sibling capture to announce mom as the winner...I know she will be thrilled and so will these three adorable kiddos as they LOVE being in front of the camera. So FIVE lucky winners!! Thank you all again for helping spread the word about Michelle Monson Photography and having me have the honor of capturing all of your special memories!! I think we will have more of these little giveaways...this was so much fun! !